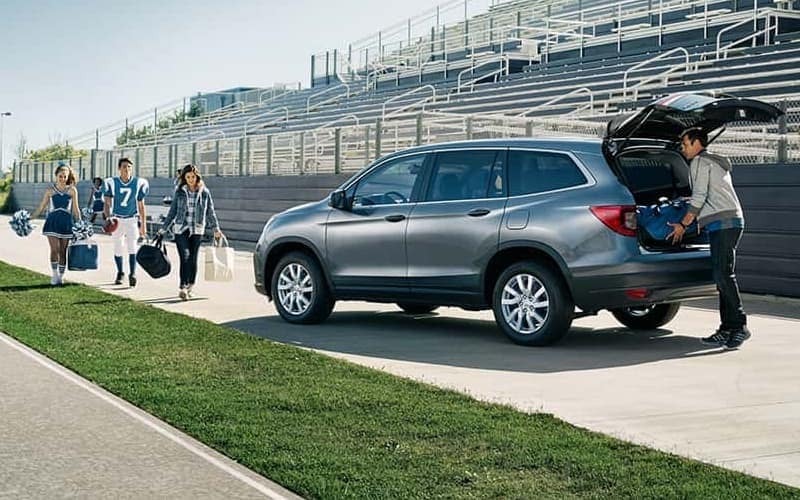 The 2019 Honda Pilot offers a spacious interior a lot of cargo space. The Pilot’s three-row SUV offers 16.5 cubic feet of cargo volume when the rear seats are in us. When you fold the third row down to expand the cargo area, you will get 46.8 cubic feet. Get more space by folding down the second row, giving you up to 83.9 cubic feet. The new Pilot offers more interior space than competitors the Subaru Outback, and you can explore this favorite Honda SUV by visiting Middletown Honda! No matter how busy it can get, your Pilot can stay organized so finding the things you need won’t be difficult. Are you interested in learning more about the 2019 Honda Pilot? If so, it’s time to visit Middletown Honda in Middletown! We’ll explore the interior of the Pilot, look at the towing capacity, and performance features before hitting the road for a test drive. Contact us today with any questions you have about the Pilot! Be sure to check out our current Pilot inventory, rotating vehicle specials, and estimate your monthly loan payments online! 0 comment(s) so far on How Spacious is Honda Pilot Cargo Space?